The first thing is to make supremes from the grapefruit. That is just a term for sectioning the fruit. 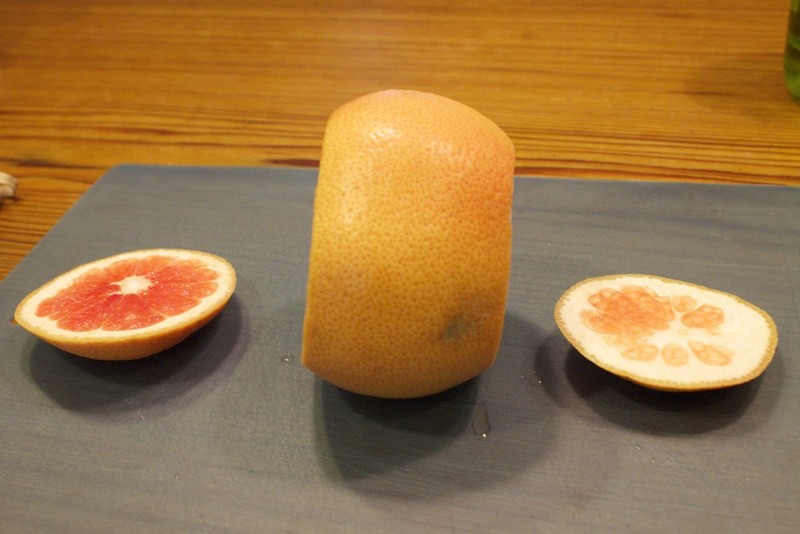 Start but slicing a thin piece off of each end of the grapefruit and standing it on end. 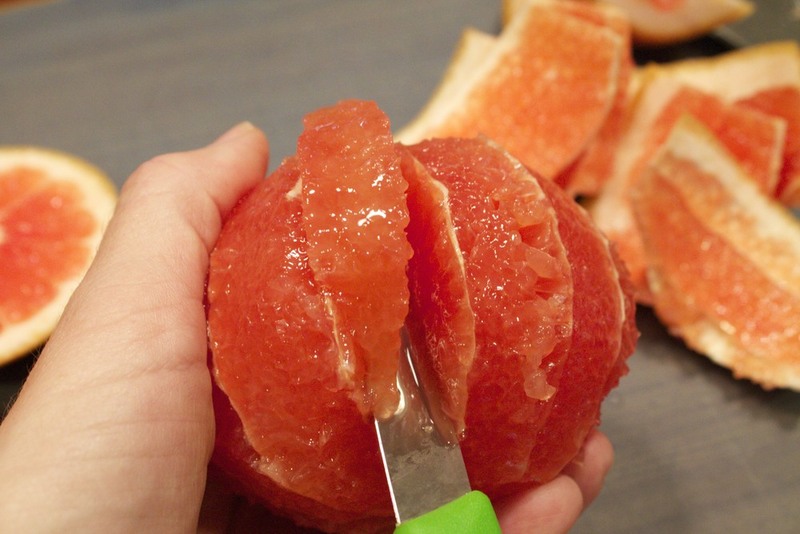 With a paring knife, follow the curve of the fruit and slice off the peel. 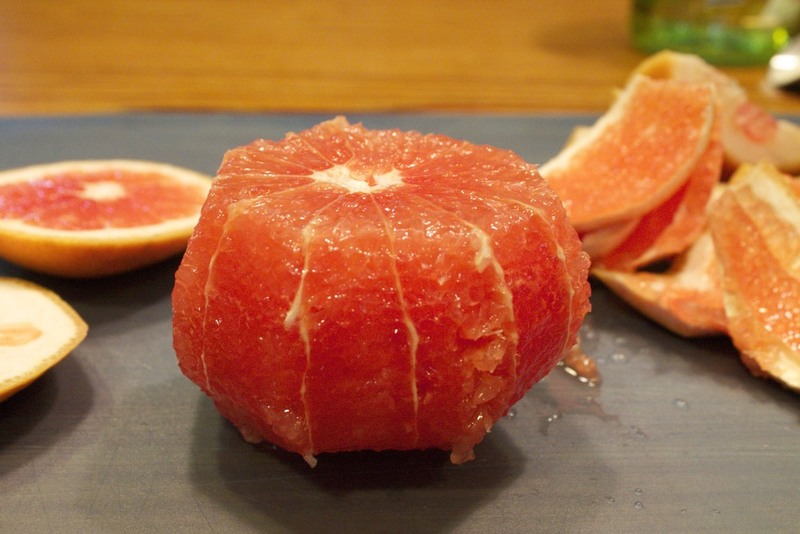 Now you have the whole grapefruit with no rind. Hold the fruit in one hand and using the paring knife, cut along the side of the membrane of each section, removing the fruit. Continue for each section. After all the sections have been removed, squeeze the the juice from the remaining pulp into a bowl. Let's make the dressing now. 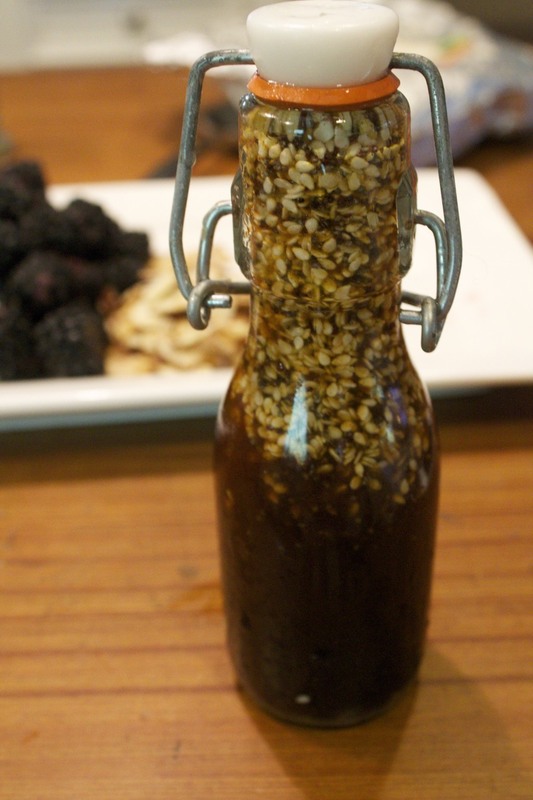 Start by whisking together the oil, vinegar, maple syrup, and sugar together. Add the tamari and grapefruit juice and mix. Now add the sesame seeds and poppy seeds and paprika and whisk everything until well combined. Refrigerate until ready to serve. To prepare the salad, start by removing the stems and slicing the strawberries. Add the spinach to your serving bowl and toss with some of the dressing to coat the leaves. Add the sliced strawberries, blackberries, and grapefruit segments and toss gently. Sprinkle the almonds on top. Beautiful! 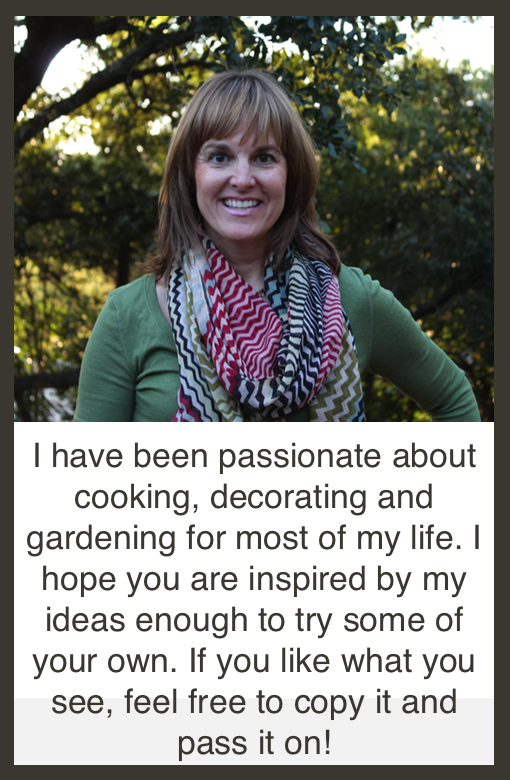 Posted in In The Kitchen and tagged with salad, spinach, fruit, fruit and spinach salad. May 13, 2013 by Lynn Adams.